Lavender Oil, produced mainly in India, France and Hungary is extracted from the flowering tops of Lavendula Angustifolia through steam distillation process. Clear pale liquid, this oil has a herbal floral sweet refreshing odour and is rich in Linalool, that has relaxing and soothing properties. Lavender oil has antibacterial, antiseptic, analgesic, antidepressant, sedative and carminative properties and is largely used in making perfumery, aromatherapy products, mosquito repellents, body lotions & creams, hair care products and other skin care products. Lavender Oil helps to prevent wrinkles, scarring & stretch marks, eliminate head-lice and nits, can treat sunburns and sunstroke and can also be used for treating insect bites, stings and minor burns. 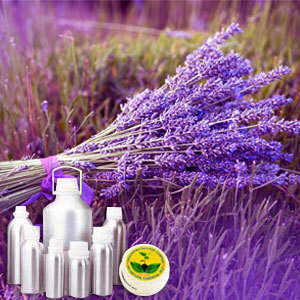 Lavender oil can treat asthma, whooping cough, colds, throat infections, laryngitis and halitosis. Helps in treating digestive problems including nausea, vomiting & flatulence. Can aid in treatment of insomnia, rheumatism, depression, exhaustion, nervousness and headaches. Widely used for relieving muscle spasms and stimulating blood flow. Lavender oil can support healthy tissue growth and promote skin healing.